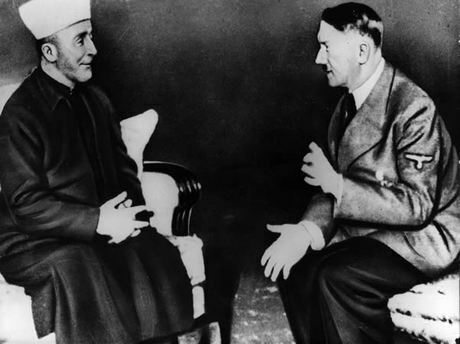 The Arab Grand Mufti of Jerusalem, Amin al-Husseini, with Adolf Hitler. 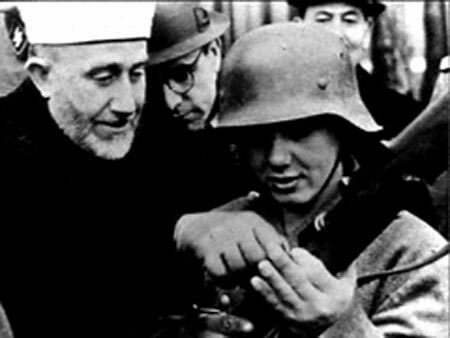 Amin al-Husseini meets Heinrich Himmler, Head of Nazi SS. 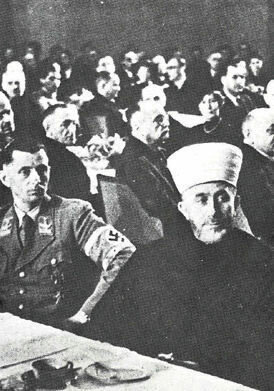 Amin al-Husseini at Nazi meeting in Berlin during WWII. 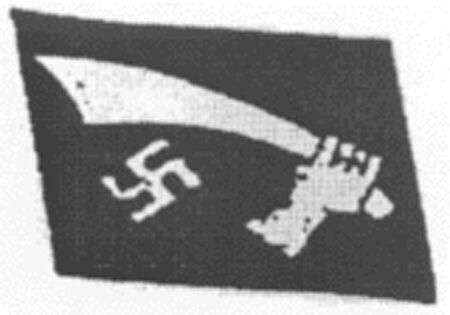 The collar patch of Handschar, worn on the right collar by Bosnian Muslim Nazis in place of the SS Sig runes worn by Germanic SS divisions. 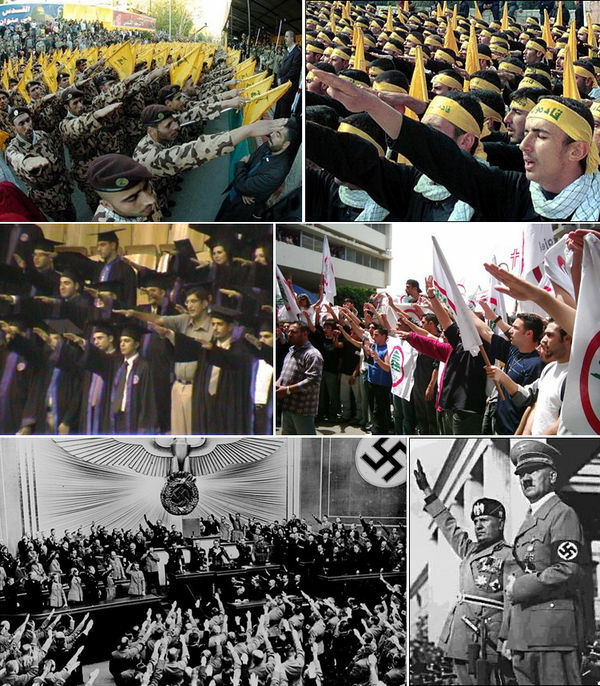 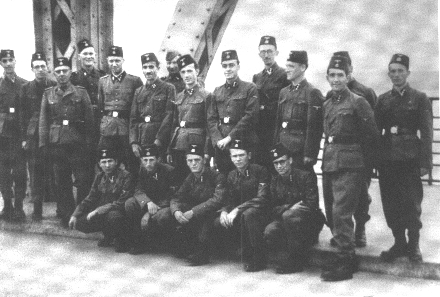 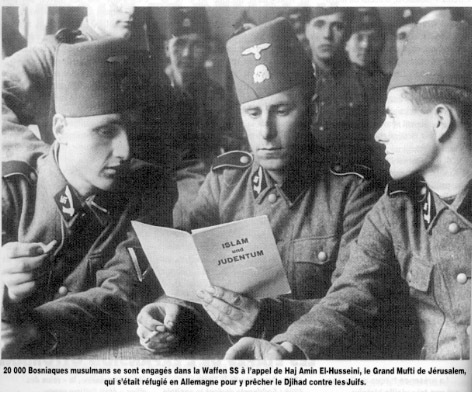 The pictures above shows Bosnian Muslim SS-soldiers in their Handschar Muslim uniforms. 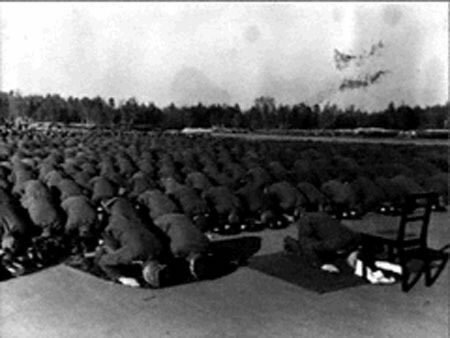 Muslim Nazi troops in traditional Muslim prayer (1943). 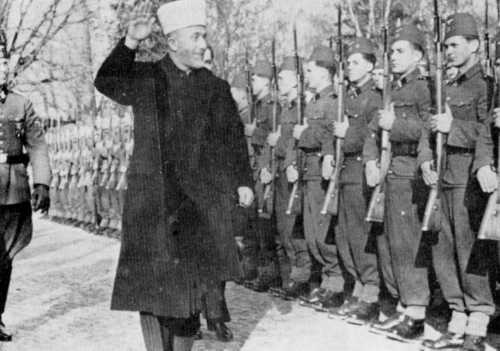 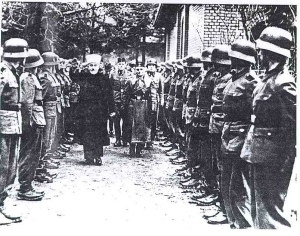 Pictures above show the Arabic Grand Mufti of Jerusalem with Bosnian Muslim SS-soldiers. 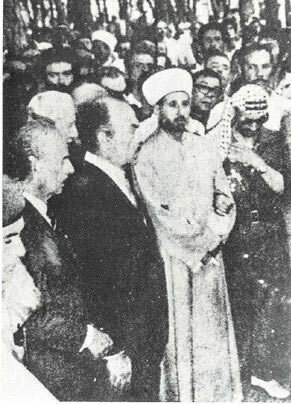 Yasser Arafat (far-right) at Amin Al Husseini's funeral (with Mufti of Lebanon). 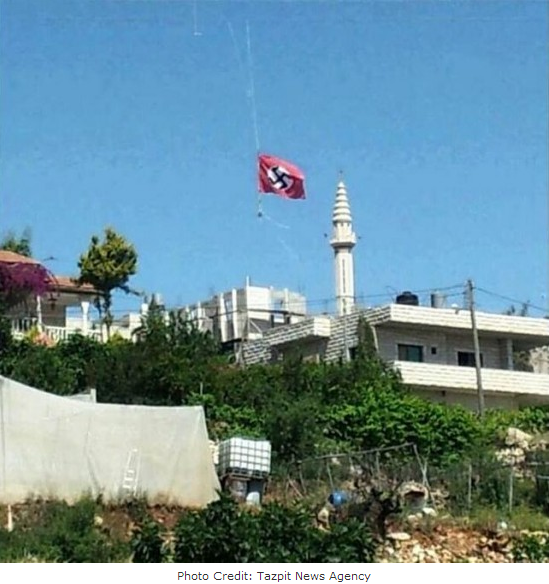 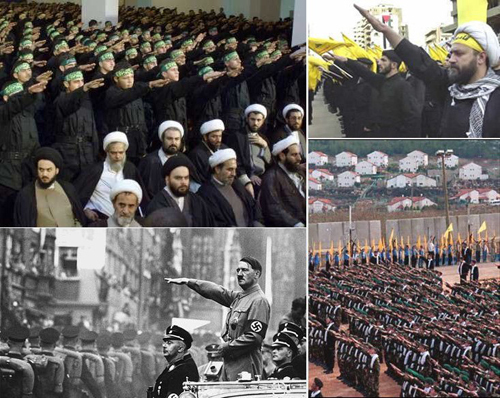 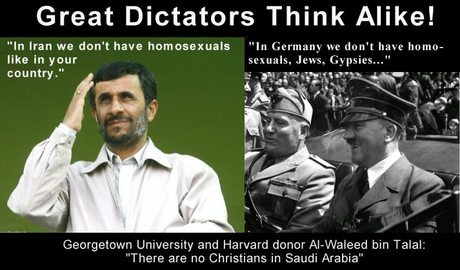 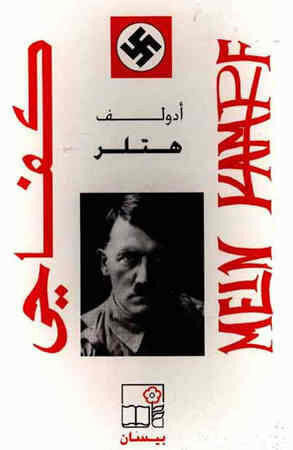 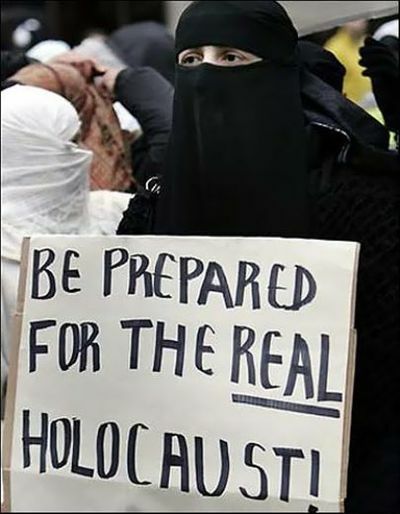 Mein Kampf, written by Adolf Hitler, is a best-seller in the Muslim World including; Egypt, Palestine, Turkey, and is also selling well in London areas with a large 'Arab' population. 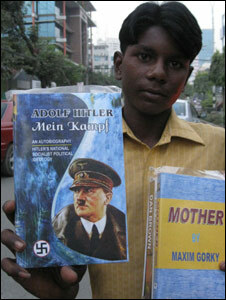 Mein Kampf is selling as well as Dan Brown's latest novel in Dhaka, Bangladesh, where sales soar towards Eid, as it is bought by many as gifts. 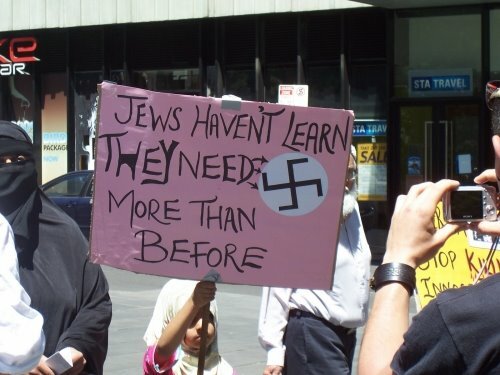 A Muslim mother in Melbourne Australia with her daughter (2009). 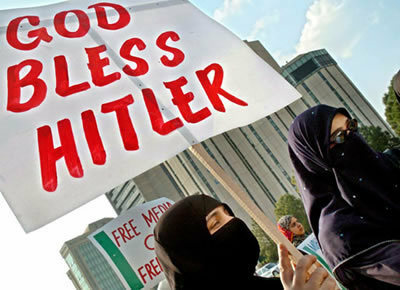 During a "cartoon" protest in London UK (2006). 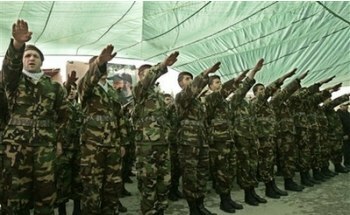 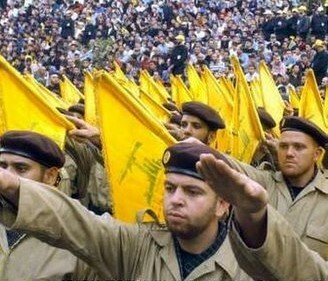 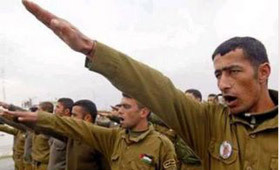 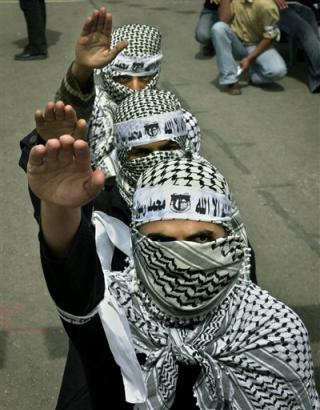 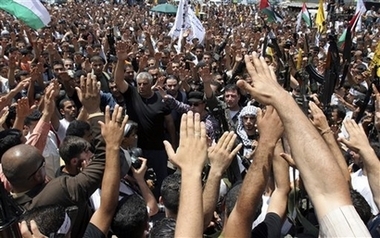 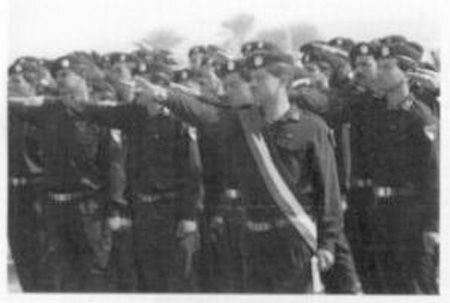 Palestinian soldiers under Yasser Arafat doing Nazi salute. 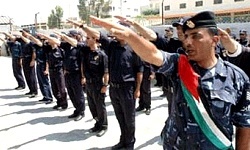 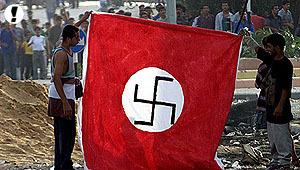 Police give the Nazi salute (May 9, 2006). 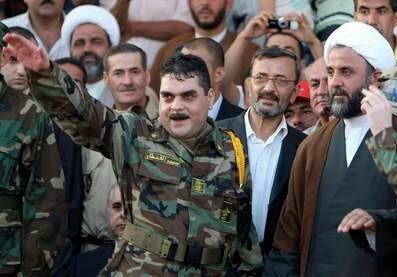 Samir Kuntar on arrival in Lebanon (2008). 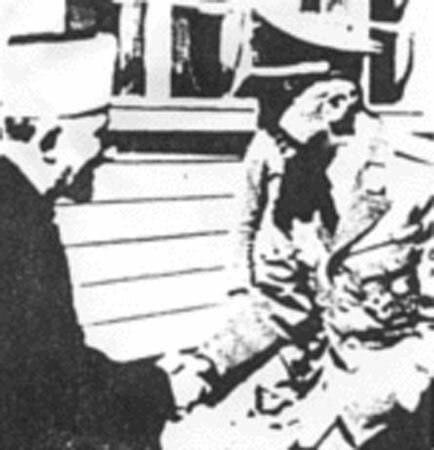 This page was last edited on 1 April 2015, at 08:44.